It’s easy to fall in love with Mexican food, the flavor is on point, the ingredients are available to everyone, and there is something magical about it that will make you always ask for more. 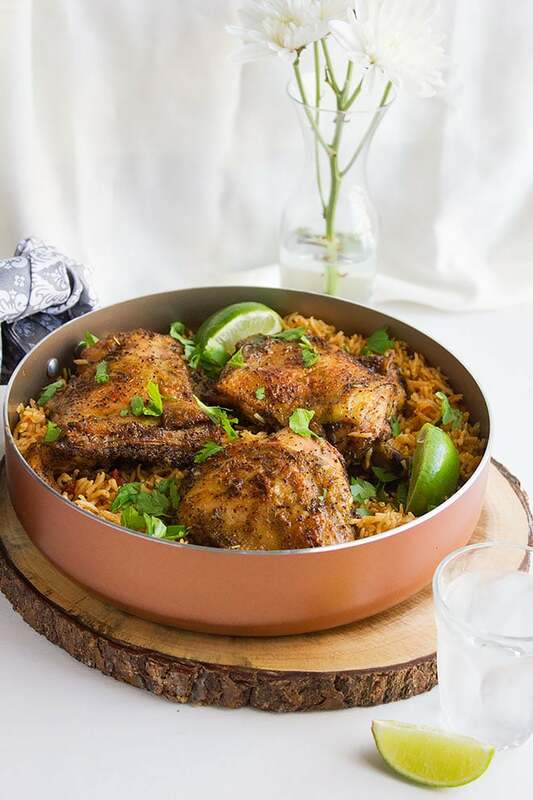 Arroz Con Pollo or Mexican Chicken and Rice is an addictive dish, takes less time to prepare, and is impressive enough to be served at parties. Making Mexican Chicken and Rice. 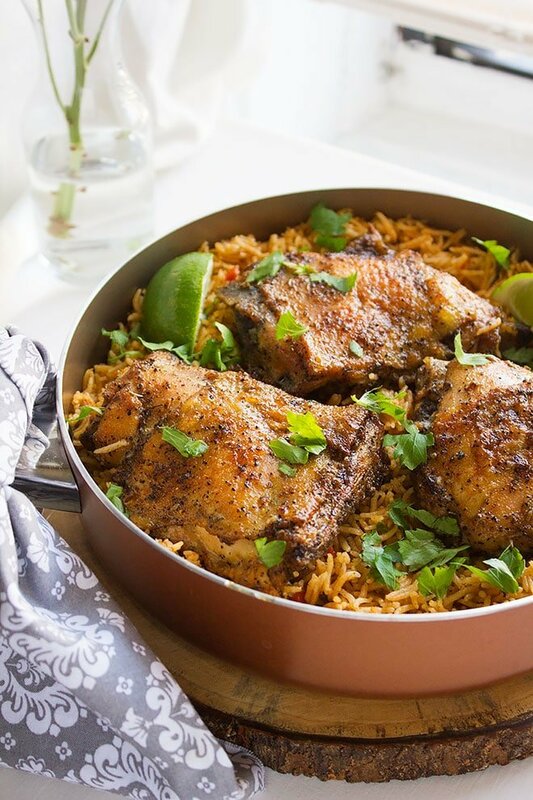 The rice on its own is delicious thanks to the combination of warm spices used like cumin and garlic. You can cut the cooking time by 70% if you use a pressure cooker. Still, you can do without the pressure cooker and make a perfect, fluffy rice. The chicken is baked in the oven, this will cut down the amount of oil used. I didn’t marinate the chicken although you can. The seasoning was perfect and in the method below, I show you a simple way to give the chicken an extra smoky flavor. It’s fun to make it. If you are fond of Mexican food, you’ll enjoy making this dish at home. 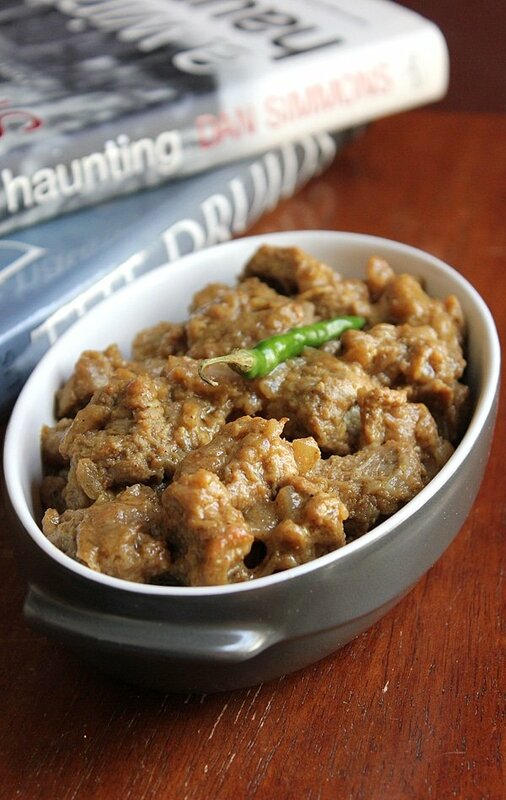 In some recipes, the amount of heat is too much for me and my family so I have reduced it to mild in this recipe. 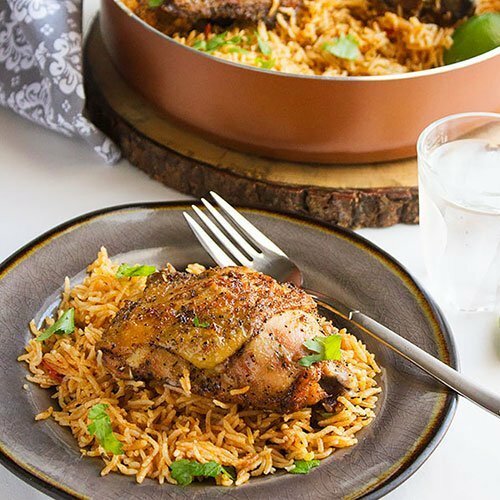 Mexican Chicken and Rice is one of the most favorited Mexican recipes and I hope that you’d give it a try. 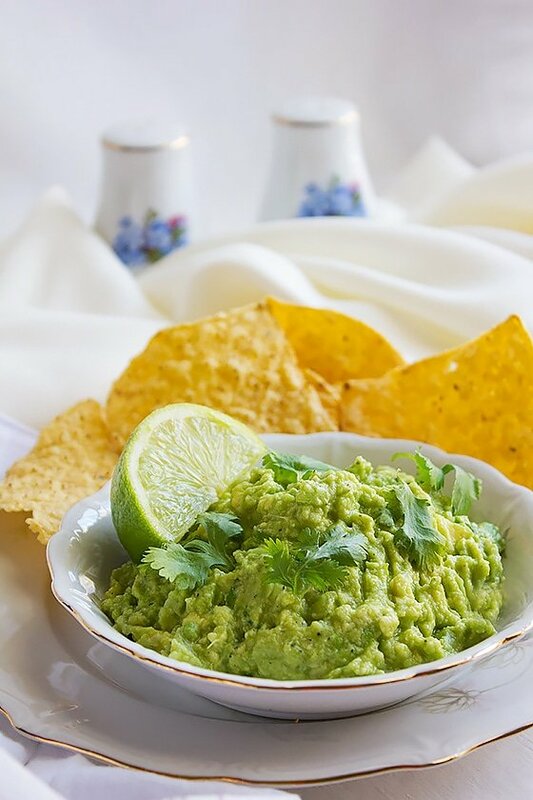 If you want to try another Mexican delight, check out my Guacamole Dip Recipe. Let’s make some Mexican Chicken and Rice! In a pan, add olive oil and when hot add the onion, garlic, and tomato, cook on medium high until the oil separates from the mixture. Add the rest of ingredients except the water and rice, stir for two minutes on medium heat. Add the water and when it comes to a boil add the rice. When it comes to a boil again, turn the heat to low, cover the pan tightly and let it cook for 15 minutes. After 15 minutes uncover and stir the rice gently for few seconds. Cover and cook for another 15 to 17 minutes. Fluff the rice using a fork and serve. *** If using a pressure cooker, at step #3 Add 2 cups of water and immediately add the rice. Do not wait for it to come to a boil. Cover and cook on high. Wait for one whistle. Lower the heat and wait for 20 seconds then turn off the heat. 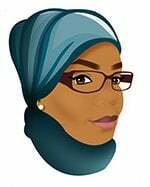 Let the pressure cooker release the pressure (steam) naturally before you open it. In a bowl add all the ingredients and mix well. I didn’t allow it to marinate but you can for an hour or so. Place the chicken in a non-stick pan or you can line the baking pan with aluminum foil to prevent the chicken from sticking. Bake for 40 minutes, then cover with aluminum foil and bake for another 20 minutes or until cooked. To give a smoky taste and aroma. 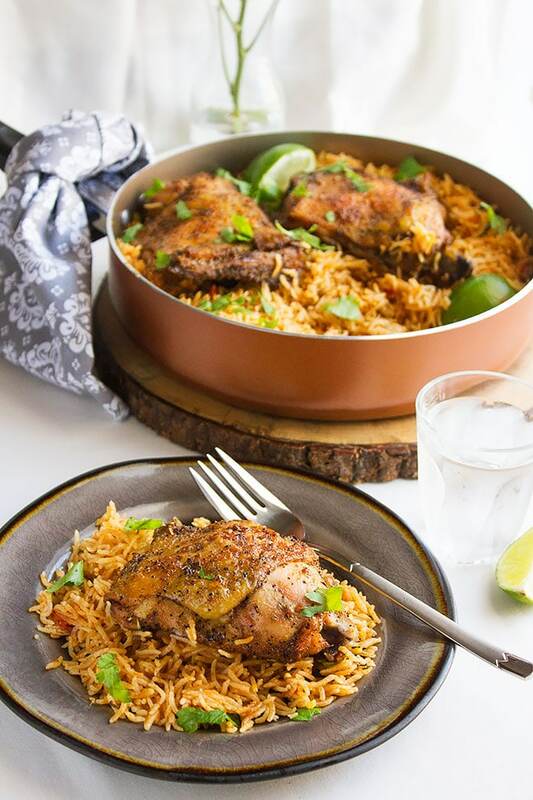 Burn a charcoal and place it in the baking pan with the chicken, pour one tablespoon oil on the charcoal and cover the pan tightly for 5 minutes. Add the chicken to the rice and serve hot. This dish is best served with plain yogurt. What amazing colour and flavour! I can’t wait to try it, Muna. This sounds absolutely delicious, I am a big fan of chicken dishes and this sounds like it would be so full of flavour. I love Mexican food. I agree that it’s always rich in flavor. 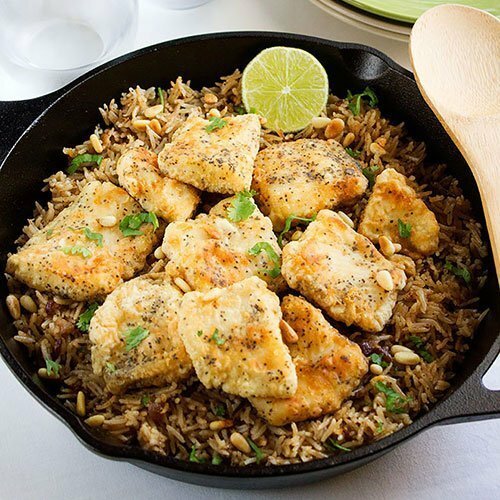 This chicken and rice looks amazing! The guacamole looks like it would be a great addition to the meal. I’ll me saving both recipes to make this weekend! Mexican food is a blessing for real, all those different flavors and the blend of warm spices! Mexican food is my WEAKNESS! I can’t wait to try this chicken rice!It looks so amazing! My kiddos and I love Mexican dishes of all kinds! 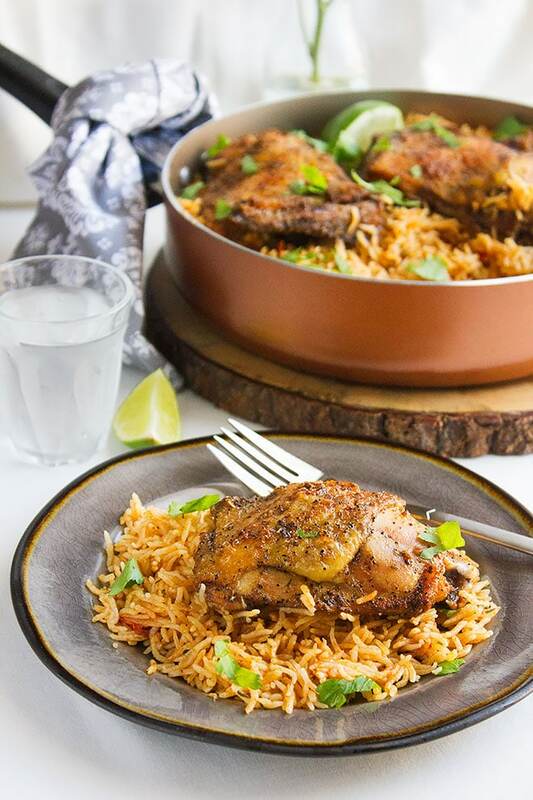 My son would especially love the rice in this recipe! When I started cooking Mexican food my family keeps asking for more new dishes, the flavor is just amazing! Mmmm my family would love this. I can’t wait to try it. Oh yum. I’m all about Mexican food and this looks fabulous. Hi Muna! The recipe looks great! I have tho triple it for my house. We eat a lot. Thanks for sharing! Oh my your post is definitely makes me super hungry this dinner time. Me likey! Yum it looks so delicious and full of flavors! Definitely a must-try! What a great recipe and the pictures looks mouth watering. I love to try other ethnic foods, but in the area that I live, I don’t know of many Mexican restaurants. This would be a fun night to cook with the family during the weekend. It does look like such a great recipe here. I know I would love the Mexican chicken as I always love the flavors in Mexican food. Mexican recipes are most delicious, I’m sure you’ll enjoy this one. I enjoy the rich flavors and colors of Mexican food. It is truly the ultimate comfort food and your featured dishes fit well. Thank you Elizabeth, this means so much to me! I love this. Is this gluten free?